N: No support at all. P: Partial support; some classes may not work due to internal API changes. 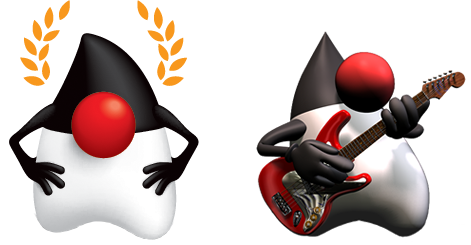 As you can see there are 2 Ikonli releases; version 2.4.0 is meant to be used with JavaFX 8 and Java 8; version 11.0.0 is meant to be used with JavaFX 11 and Java 11 (or newer). There’s no plan to support Java 9 nor Java 10 as these versions are no longer in scope now that Java 11 is out. Also Ikonli 11.0.0 has been fully modularized, you can configure it to be used with the classpath or the module path, the choice is yours. All other projects can also be used with the classpath or the module path however they do not provide a explicit module descriptor, instead they rely on the Automatic-Module-Name JAR manifest entry. All of these libraries can be downloaded from Bintray‘s JCenter or from Maven Central. Enjoy building JavaFX applications with these libraries! Feedback is always welcome.